Clouds of tantalizing smoke wisp gently and permeate the corner of U.S. Highway 101 and R Street in Eureka, where Sammy's BBQ and Catering (1709 Fifth St.) resides. 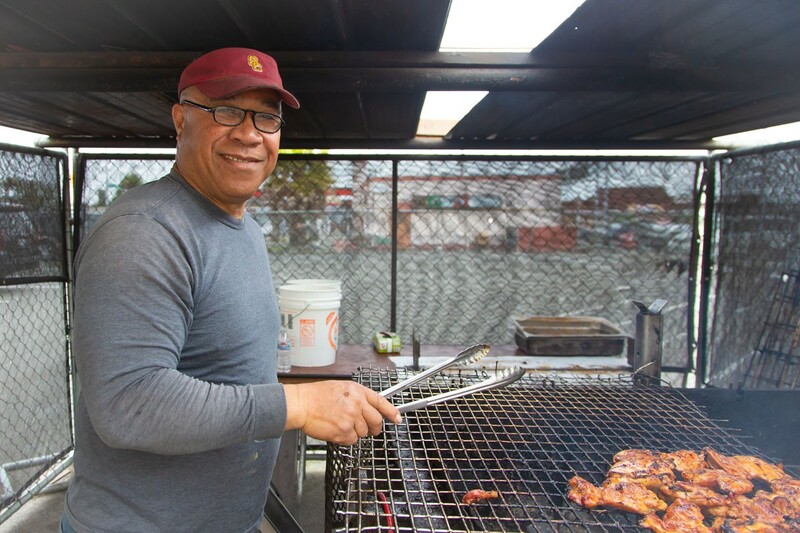 Here, locals and travelers passing through line up for award-winning barbecue. Out back of the restaurant, the aroma of low-and-slow barbecuing beef, pork and chicken on the 4-by-4-foot grill and smoker is even more intense. It's an olfactory high sure to make most salivate. Tri-tip with chop suey and rice. 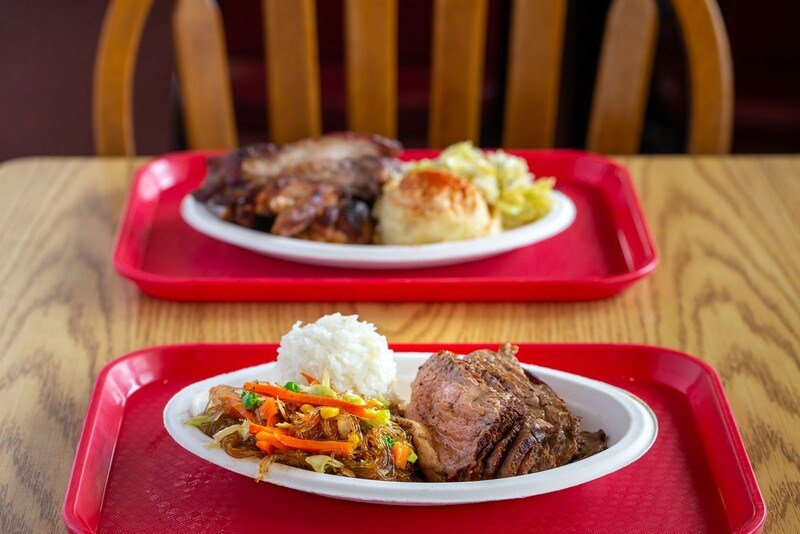 Sammy's BBQ is a casual dining spot run by the Vainuku family, who hail from the South Pacific Islands. 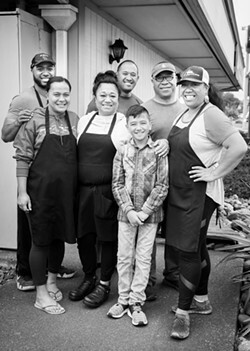 Owners Sammy Vainuku, 32, and his wife Sarah, as well as Sammy's dad, mom and sister have been cranking out Polynesian and "mainland" traditional-style barbecue since starting as a catering business in 2012. The Eureka location was opened in November 2016 after it outgrew its first (much smaller) brick-and-mortar in King Salmon. 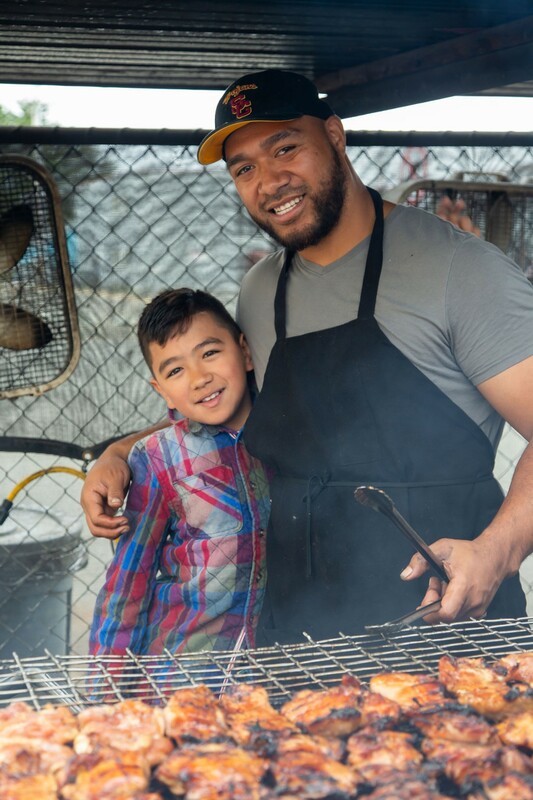 Sammy, who grew up in Eureka, credits his father, Taholo, 64, who also goes by "David," for inspiring his love of barbecue and cooking for others. "I got my passion from my dad, who was always feeding crowds," Sammy says. "Whether it was a birthday or Sunday after church, he was barbecuing for family and friends, and we loved it." 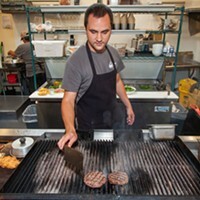 At the restaurant, the father and son are responsible for making the meats. They start their days at 6 a.m., making magic with fire, mesquite and black oak. "This is how we do it on the island," says David, who was born and raised on Tonga. "We make sure to make the food good. It's not just to make money but so people enjoy it and so they keep coming back." Inside the restaurant, Sarah deals with delivery people while Sammy's mother Leua (pronounced "Lay-wah") adds the last of the ingredients to chop suey and his sister Ana makes mammoth bowls of potato and macaroni salads. Sammy's aunt Alusi, his brother Eddy and his cousins Tita and Mana, also work at the restaurant. Sammy’s dad at the grill. "We love to be here," Sammy says. 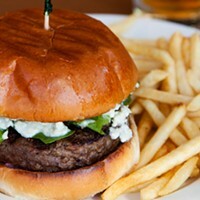 "It feels good when our customers tell us they are happy from the good food and energy at the restaurant." Patrons have voted Sammy's BBQ best barbecue and best catering. In 2017, Sammy's BBQ won the Best Barbecue award from the North Coast Journal and, at the time of publication, the restaurant is in the running for the same award in 2018. 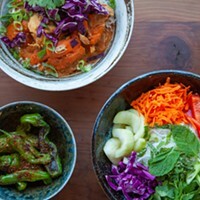 For me and many customers, it's the nuanced flavors of the tropics and Asian influence on the offerings that make this barbecue joint special — from the barely sweet but slightly charred teriyaki chicken to the moist and smoky kalua pulled pork to the glossy chop suey and the must-have pineapple upside down yellow cake. For patrons jonesing for traditional barbecue that's smoky, moist and nicely charred, Sammy and his dad throw down some mighty fine tri-tip and St. Louis-style ribs. With all their meats, you can easily skip the sauce. The creamy potato salad is spot-on, as is the zingy, crisp coleslaw studded with pineapple. 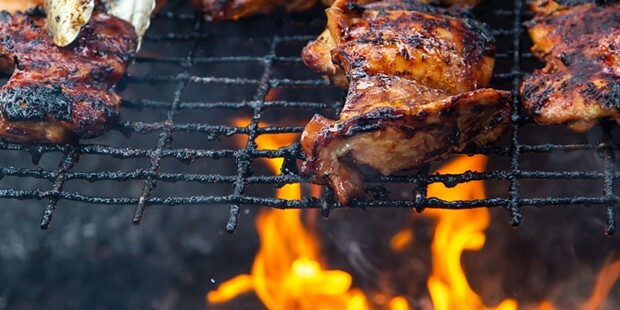 Diners can get their barbecue via a sandwich (one meat topped with one side $10), a combo plate (one or two meats plus two sides $11, $13), family style (one or two meats plus two sides that feeds 4 to 5 people $40-$60) or meat by the pound ($12-$15). 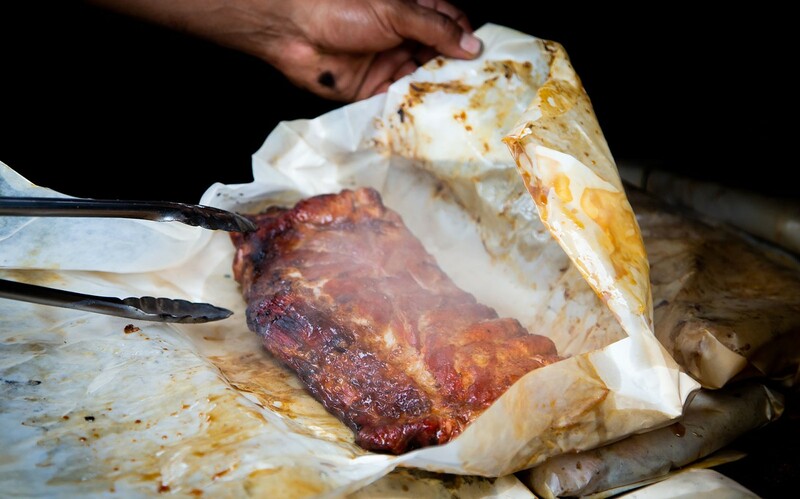 And ribs are available by the half or full rack ($12.50, $25). Tip: Get there early. 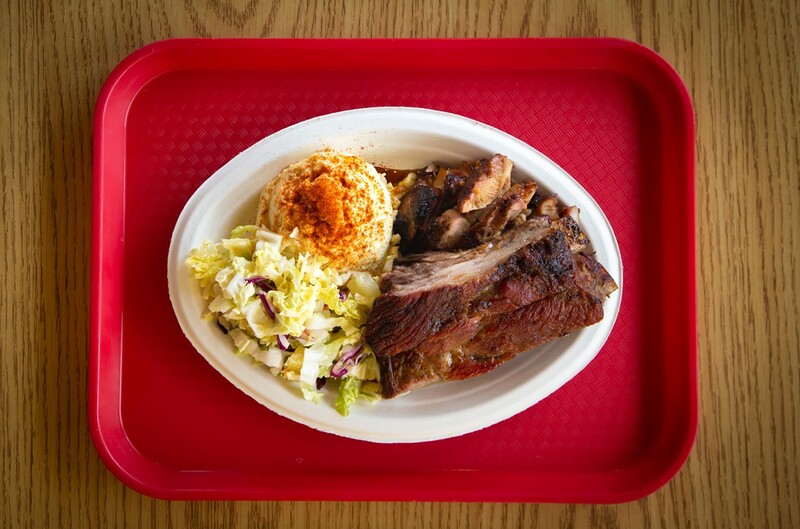 Food is made fresh daily and popular items like the ribs, tri-tip and pineapple cake frequently sell out. If your usual is out, there's still plenty on the menu to please.